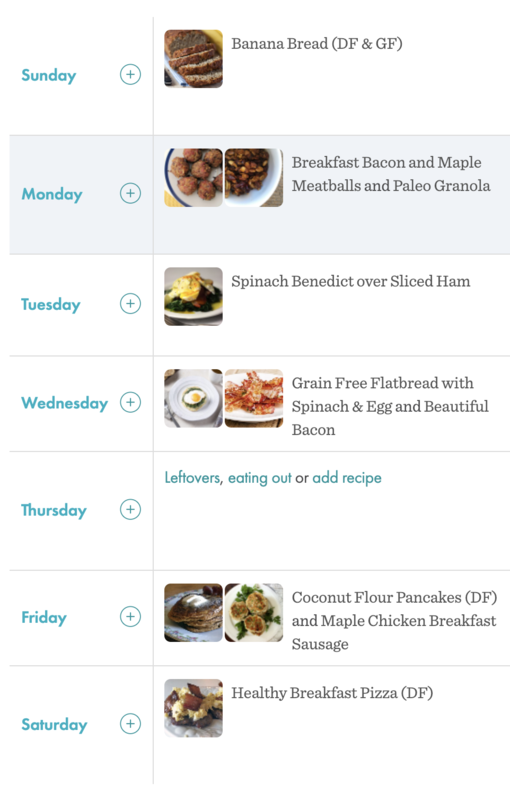 With our scrolling weekly meal-planning calendar, you will always have access to your current week and the following three weeks of meal plans. You will also be able to scroll back to see meal plans from previous weeks all the way back to the first week of your subscription. Let’s take a look at how to use your scrolling weekly calendar. Simply click on “Meal Planner” in the upper left corner to access your scrolling weekly calendar and current week’s Meal Planner. First, it is important to be sure that your weekly planning calendar, also known as your Meal Planner, begins on the day of the week that best works for you. This support article will show you how to change your weekly start day. It is encouraged to have your weekly start day set to begin the day after your regular shopping day, so if you usually shop on Saturday, your weekly start day should be Sunday to keep your groceries as fresh as possible for your week. Setting your weekly start day ensures that your weekly meal-planning calendar is laid out to best suit your meal-planning needs. You will always have a full seven days in your weekly Meal Planner to work with, so you will not lose any days of meal planning by changing this day. Keep in mind that changing the weekly start day could change your entire meal plan, so if you have already planned your week and/or completed your shopping, you may want to save or print your meal plan before making this change. Once your weekly start day is set to your preferences, you can begin your weekly meal planning. Use the arrows or the calendar icon to advance to the week for which you wish to plan. You will always have the current week and three future weeks to work with. As one week ends, a new week will be generated, so you can plan up to 4 weeks ahead, if desired. This is especially helpful with holiday meal-planning. It is important to log in to your Meal Planner regularly to be sure a meal plan is generated for each week. Scrolling through your future weeks on the calendar will also cause the Meal Planner to create a meal plan for those weeks. This will ensure that you do not have blank weeks if you wish to view previous weeks in your Meal Planner. If you do not log in to your Meal Planner during a full calendar week and have not scrolled through to view that week on your Meal Planner, a meal plan will not be generated for that week. As long as you have logged in regularly and have viewed each week, you have the ability to scroll back or use your calendar icon to view previous weeks of your Real Plans subscription. This is a great feature to help you copy a meal plan you loved, remember a recipe your family enjoyed and schedule it to your Meal Planner, or to track symptoms you may be feeling after eating certain foods. This also helps you see your eating habits and how they have evolved.